Conceived and implemented in 2009, Bark-A-Bout’s mission is to provide the highest quality pet care in our conveniently located, fully-equipped and accredited facility. 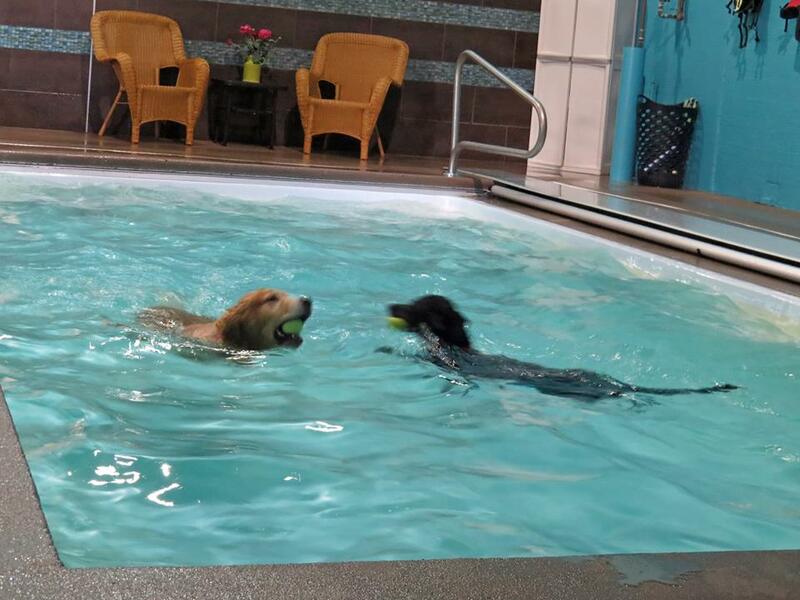 Bark-A-Bout offers many pet-related amenities that are provided in a respectful, fun and luxurious manner, knowing that cleanliness and security is paramount to the health and peace-of-mind of our clients and their pets. Bark-A-Bout works hard to exceed pet industry standards in every aspect of our pet care by employing only the most trustworthy and passionate professionally trained and certified Pet Care Handlers and staff members that are enthusiastic about nurturing animals. Bark-A-Bout meets the complex and individual needs of each pet in such a way that naturally results in a happy, well-balanced, well-trained, pet that will exhibit positive behavior and interactions as a result of our care. Bark-A-Bout upholds and maintains the highest standard of security and sanitation to ensure your pet’s superior health. The cleanliness of our facility is the foundation of great health and well-being for you and your pet. To deter the spread of airborne germs and contaminates, Bark-A-Bout uses a hospital-grade ventilation system, in addition to top-of-the-line, effective, pet-friendly non-toxic disinfectants. Proper sanitizing techniques are applied in our daily fervent cleaning routine. We sanitize toys, floors, walls, bowls, play equipment and hotel suites with meticulous care and attention. 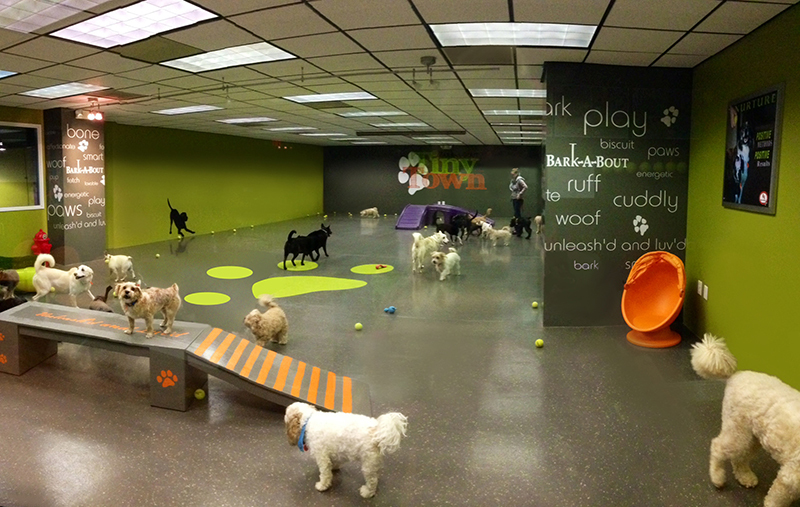 Bark-A-Bout’s climate control system ensures a comfortable temperature throughout our entire facility, including our play areas. Glass panel doors give your pet a sense of openness and view of the outdoors while playing inside. 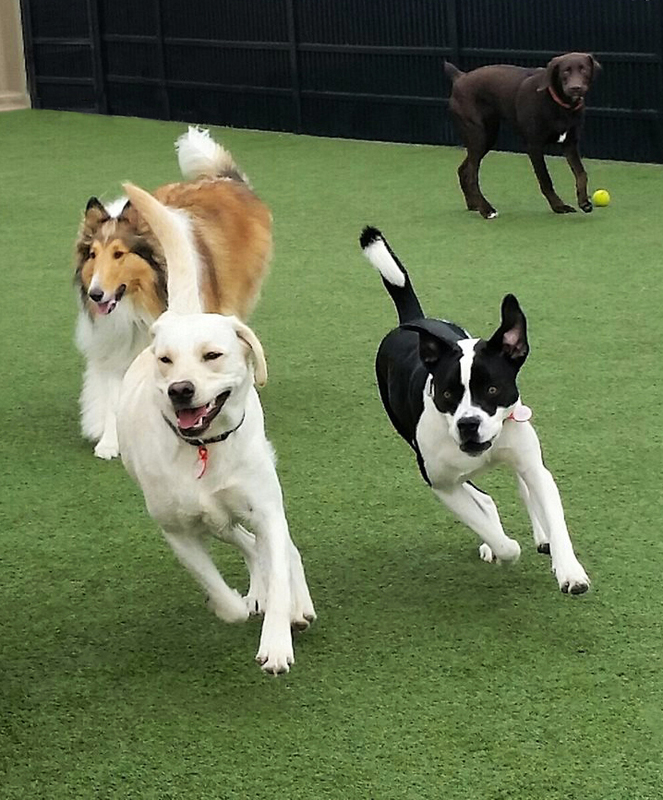 During the warmer months, dogs can enjoy our fenced-in indoor-outdoor play yard in the sunshine, or step back inside for a cool relaxing break. Our mindful attention to these fundamental necessitates creates a comfortable, safe and appealing environment for your pet – where luxury and cleanliness go paw in paw. Bark-A-Bout is a member of the International Boarding & Pet Services Association (IBPSA). The IBPSA helps develop and maintain the highest professional and business standards within the pet care industry. Bark-A-Bout abides fully by their Code of Ethics, Pet’s Bill of Rights, and building regulations.